We recommend using Sketchfab Login to improve the UX of your app. Users can connect to their Sketchfab account and publish 3D content on Sketchfab without leaving your app. Sketchfab Login uses OAuth 2.0, the industry standard for connecting apps and accounts. Step 1: Inside your app, the user opens a web window to log into their Sketchfab account. 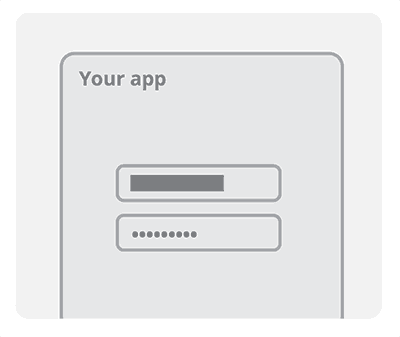 Step 2: They authorize your app to access their account in the same window. Step 3: Once authorized, your app receives a token to publish and access 3D content on Sketchfab. When the regular workflow can not be implemented, your app can ask the user for their Sketchfab username and password. This flow is less secure than the standard flow. A typical use case is applications that cannot open a web browser. What if users do not have a Sketchfab account? If your users do not have a Sketchfab account yet, they can create one "on the fly" by providing a username, e-mail and password or use their existing Facebook, Twitter or Google accounts. During signup, users can choose to share automatically models to Facebook. Sketchfab is integrated into Facebook as an authorized embed source. Your app can leverage this integration to publish 3D content on Facebook via Sketchfab. In return, you will be provided a Client ID and Client Secret. Obviously, the client secret must remain secret. Users will see this name when they are asked to authorize your app. At the end of the authorization process, users will be redirected to this URI, where you app can obtain the access token. This should be a secure HTTPS URI if possible. Multiple redirect URIs are supported. We do not support reverse DNS notation ( com.example.app:/path ) or custom app protocols ( myapp://path ) for the redirect URI. You can use an IP address with a listening port ( http://127.0.0.1:port ), or localhost. Another alternative is to use a redirect URI on your server/domain which then redirects to your custom protocol. A common workflow for standalone apps is to open the OAuth page in an iframe, redirect to something like localhost, and have your native code catch the iframe's URI change to get the token. Users will see this username as the application's author in their list of Connected apps. The Authorization code grant type is typically for server-side applications, where the source code is not accessible by end-users. These apps must guarantee the confidentiality of the Client Secret. The Implicit grant type is for applications where the confidentiality of the Client Secret is not guaranteed, like browser-based apps or mobile apps. Also called "Resource owner password credentials grant", this workflow is less secure because it directly exchanges a username and password in exchange for an access token. It should only be used when another grant type cannot be used, for example in an application that has no access to a web browser context. Once your app has obtained an access token, it can make authenticated calls to the Sketchfab API, on behalf of the user. Access tokens last 1 month. When they expire, users have to authorize your app again. However, the access token comes with a renew token that can be used to obtain a new access token before the expiry date. When using the Implicit grant workflow, there is no refresh token. You must repeat the exchange for an access token each time. If you use the approval_prompt=auto parameter when hitting the authorization endpoint, this will bypass the authorization if the user already agreed to allow the app to use its sketchfab account.